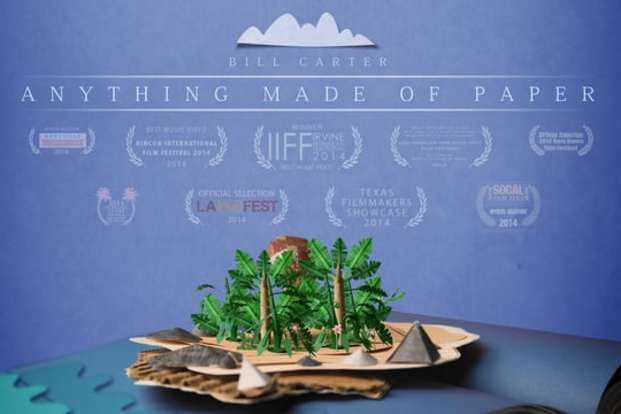 Bill Carter's song "Anything Made From Paper" written for his friend Damien Echols while on death row. This animated music video is a fictional re-telling of the "West Memphis Three" story that inspired Bill to write the song and	echoes the hope we all must cling to in the face of injustice. Brandon Ray searches for new ways to add depth to the traditionally 2-dimensional medium of paper. From building 3-dimensional paper cityscapes to constructing functional paper puppets, he uses stop-motion	animation and paper puppetry to bring his creations to life. His animated works have been selected for Fred Siebert's Channel Frederator three times, and have	been Vimeo Staff Picks on four different occasions. Brandon's passion for inventing new ways to reuse traditional forms of animation takes him to all	formats of entertainment, and leaves no subject matter which he can't explore with his own unique lens of "paper-based reality." “The Astronaut’s Secret” explores Rich Clifford's career as an astronaut and how he and NASA	kept the fact that he had Parkinson's disease a secret for more than fifteen years. The film also follows Rich as he begins to speak publicly about Parkinson's disease and becomes a source of inspiration for others suffering from the neurodegenerative disease. His story shows that with passion,	dedication, and determination, one can overcome seemingly insurmountable obstacles and reach for the stars. Zach Jankovic is Founder and Lead Producer at www.CutToCreate.com. After graduating from film school in 2008, Zach went to work in TV. During that time	Zach directed, produced, and edited 3 award winning short documentaries. 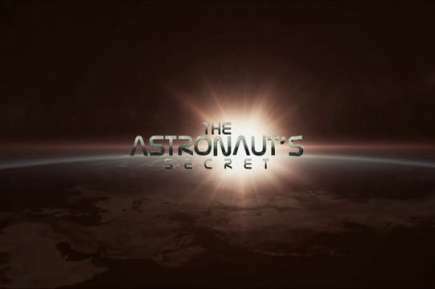 Zach’s	newest film, “The Astronaut’s Secret” is about former astronaut Rich Clifford,	the first and only man who went to space with Parkinson’s disease. After a career spent mining his music from the shadows, the actions of one fan creates a chain	reaction for the lead singer of a black metal band. Kat Candler's award winning short films Hellion and Black Metal have screened	at Sundance, SXSW, Los Angeles Film Festival, San Francisco International Film Festival, Sarasota Film Festival, Maryland Film Festival and more. Her feature	film, Hellion starring Aaron Paul and Juliette Lewis, premiered in the U.S. Dramatic Competition at the 2014 Sundance Film Festival. Hellion was a Sundance Creative Producing Lab participant and San Francisco Film Society/Kenneth Rainin Foundation Grant recipient.Hellion will be released June 13th on VOD and in theaters through IFC and Sundance Selects. Candler was a recent recipient of the San Francisco Film Society/Kenneth Rainin Foundation Grant for her upcoming feature script Black Metal. Candler is a film production Lecturer at the University of Texas. A Sammy Davis, Jr.	impersonator, hired to visit with a loyal Rat Pack fan, finds himself delivering last rites at the boy's bedside. Todd Rohal directed his first feature film, "The Guatemalan Handshake," in 2006. It premiered at the Slamdance Film Festival, where it won the festival's Special Jury Prize. After self-distributing the film's single 35mm print around the world for a year, Rohal participated in the Sundance Screenwriter's lab and then directed "The Catechism Cataclysm," which premiered at the Sundance Film Festival in 2011 and was distributed by IFC Films. 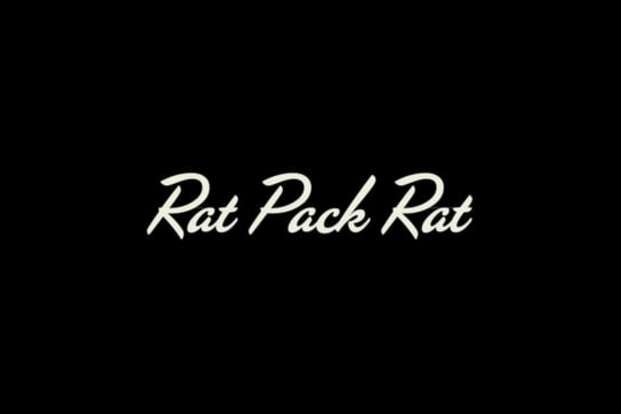 He directed	"Nature Calls" with Patton Oswalt, Johnny Knoxville and Rob Riggle in	2012 and won Sundance's Special Jury Prize For Unique Vision in 2014 for his	short film "Rat Pack Rat." In addition to his short and feature work, Rohal has collaborated on projects with filmmakers Jeff Krulik and Cory McAbee	as well as directed music videos for Austin band Ola Podrida. Annie is an award winning filmmaker and media educator based in Austin, Texas. She directed the feature documentary March Point (PBS-Independent Lens 2008), and Co-Founded Longhouse Media, an indigenous media arts & education non-profit organization in Seattle, Washington. Annie spent ten years as a youth worker, teaching and collaborating on community film based projects with Native American teenagers on reservations across Washington State, and was awarded a Fulbright in 2007 for her film project with homeless youth in Rio de Janeiro, Brazil. She moved to Texas in 2010 to pursue an MFA in Film Production at the University of Texas. Since	then she produced/directed the short documentary Noc na Tane?ku (Night at the Dance) in 2011, which broadcast on PBS and screened at festivals including SXSW, Silverdocs, and the Hamptons International Film Festival. Annie’s first narrative short Spark premiered at SXSW in 2012 where it won a jury award for Best Texas Short. SKUNK is Annie’s most recent fiction short, and was an Official Selection at the Cannes Film Festival -- Cinéfondation (2014), where it was awarded First Prize by a jury presided over by Abbas Kiarostami. 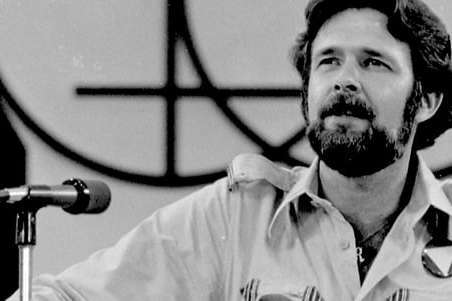 A short documentary following over four decades of queer activism from the original "citizen provocateur", Ray Hill.